Yoga is about a way of life, not pushing your hip joint to its limits in search of “opening.” Safeguarding and preserving the hip and all joints of the body and mindful and compassionate moving and living, should be the real “end range” of yoga. “Hip Openers” in Yoga? Please, Let’s Stop the Madness. Yoga is, inarguably, a popular contemplative science, enjoying 36.7 million practitioners in the US alone, up from 20.4 million in 2012 (Yoga in America, 2016). A 16 billion dollar industry, yoga is one of the most widely utilized methods of complementary and integrative medicine in America today. In 2008, the editor of Yoga Journal declared “yoga as medicine” as the next great wave. That was right in the middle of the Great Recession, when the last thing on the collective healthcare industry’s mind was yoga. What happened during the same time that yoga’s popularity surged? The world of hip preservation and rehabilitation is rapidly developing, complex science. However, the world of yoga and knowledge of hip health and safety have yet to join hands. 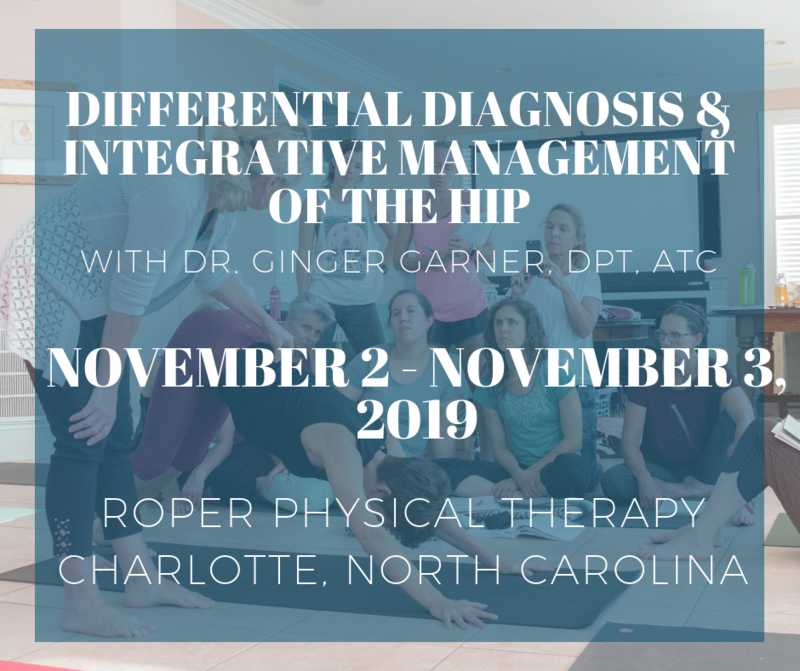 Many of my patients and colleagues have suffered from unnecessary hip injuries, from labral tears, all types of impingement, and compounding secondary diagnoses such as torn hamstrings, sports hernias, gluteal tendinopathy, to pelvic pain, all due to yoga practice. Some suffered injuries in yoga class during a single traumatic injury, and some injuries were drawn out over years of accumulated microinjury to capsuloligamentous, bony, or cartilaginous structures. Diagnosis of hip labral injuries (HLI) have vastly increased over the last 10 years, perhaps making HLI the newest orthopaedic diagnosis of the 21st century. This discovery also makes surgical and conservative management of HLI uncharted territory. Conservative therapy includes nonsurgical and post-surgical rehabilitation, and since the average time from injury to diagnosis is 2.5 years, there are many people with hip, pelvic, back, or sacroiliac joint pain that have undiagnosed hip labral tears. All of this means that yoga practice must evolve to better suit (and preserve) the hip joint. My purpose is two-fold: To clarify 1) “what” and “how” yoga can be a safe, effective form or physical therapy and rehabilitation for the hip and pelvis, as well as to 2) underscore the areas where yoga posture practice should be evolved to prevent injury. Of course I cannot do that in a single blog post. However, I have many resources, including an ongoing blog, combined with teaching coursework in hip labral rehab and injury prevention, which continue to work to meet these goals. Yoga can and should be a safe practice for anyone to use. My first request would be that we please strike the phrase “Hip Opener” from our yoga vocabulary. It is not helpful to the many people to think they only need to “stretch out a tight hip,” when in fact, they have bony and structural idiosyncrasies that prevent them from ever moving into certain yoga postures. Sure, soft tissue structures can be inhibiting hip range of motion but rarely is it helpful to put the bony parts of the hip in vulnerable end ranges. We aren’t going to force or bully the tissue to deform under these kind of extreme tensile loads, and 99% of the time, the average person (unless you are an elite athlete) isn’t going to be able to stabilize yoga postures in end ranges of motion. Typically, the capsule, ligaments, and cartilage will bear the load, including the bony structures, and they have a finite shelf life for handling that kind of adverse stress. Additionally, using the tired phrase “hip opener” suggests pursuit of an end range of motion – moving further, “stretching” deeper, and/or using yoga postures for the sake of increasing hip range of motion and flexibility. This is a dangerous concept to pander to the general public and it misrepresents the essence of yoga. Yoga is not about flexibility, stretching, or moving further or deeper into any posture. Yoga is about a way of living, which encourages moderation and mindful movement and thinking. All the “hip opening” in the world is not going to foster enlightenment, especially if the *yoga* that is being practiced is only focused on some kind of orthopaedic or fitness end goal. “Yoga for __________.” is not a cure all or panacea. My second request would be that we reconsider using the phrase “yoga for ________(fill in the blank with whatever pathophysiology or health problem you want to address).” This phrase pigeon holes yoga as a panacea for anything and everything. Using this phrase inherently marginalizes yoga’s full meaning, divorcing it from its philosophy and real capacity for healing and well-being. Additionally, it can lead people to believe that their yoga teacher can “cure” or address a problem simply through a drop-in yoga class setting, which is misleading and inaccurate. A person with depression or low back pain may be helped by a yoga class, but it is not a panacea or a substitute or comprehensive medical care. Yoga instructors are not medical professionals, so don’t saddle them with the burden of trying to be one. Only a licensed medical professional, in this case an orthopaedic physical therapist or orthopaedic surgeon, can properly and thoroughly screen and evaluate hips for structural deformities or problems. Your yoga teacher is not your health care provider, nor is he or she trained or licensed to be one, unless they have separate medical licensing. Help your yoga teachers do their job well by avoiding end range of motion in any pose. And to yoga teachers – help yourselves tremendously by no longer using the phrase or practicing “hip opening” in classes without additional training in knowing how to screen for red flag hip problems. To the yoga enthusiast – Yoga is far more than a way to treat a problem. Yoga is about prevention of impairment and promotion of health across the lifespan. Yoga is about fostering mindfulness and well-being through all circumstances; and of finding your sense of calm and equanimity, even in chaotic times. Yes, yoga can sometimes “fix” broken things, like hearts and hips; however, if you are seeking yoga as medicine, find a healthcare provider who is well versed in both yoga and medicine. Find A Therapist who specializes in yoga in medicine is one place to start. Another tip for yoga instructors in safeguarding their students is to not focus on end range of motion (“full” expression of a yoga posture like Warrior II, triangle, thunderbolt, or extended side angle, for example) in your class. Moderation in all range of motion for the hip, which means avoiding end range in all planes of motion, unless you are a licensed health care professional who has evaluated the hip joint(s), is the safest course of action when instructing yoga. Lastly, yoga teacher’s, avoid adjustment to anyone’s hip in a pose, which also means not forcing the knee or spine into an end range as well. This will safeguard both you as a yoga teacher and a yoga student. Thank you Ginger, for an informative read on so many levels. I too struggle with the “Yoga for (blank)” language in my offerings. Your point of view is valid and through intention I aim to make changes. Yoga is personal yet so mainstream, making changes requires thought and dedication. Thank you for your deep insights, education and sharing. Thank you Sheila for taking the time to read and comment on this post. I appreciate your thoughts and am glad this post resonated with you. I hope to hear from you again! EXCELLENT post, Ginger—thank you for sharing this very important information! I am a Pilates teacher and encounter many of the same issues in the Pilates world. I have to admit, the yoga world is doing a better job, at starting the conversation, bringing these issues to light and doing something about it … I’m fortunate to have found Rebecca Leone of the Pilates world early in my teaching career; her mission is Safe Spine teaching, and her work has informed my practice and teaching profoundly. But she’s viewed as a pariah by much of the Pilates world because she’s so outspoken about the potential harm Pilates can do (and IS doing) to bodies, if teachers aren’t informed and/or aren’t willing to open their minds and accept the vast research-based evidence that you speak of in your post. As a movement teacher, it can come as a complete shock to learn that what/how we’re teaching can very possibly harm the students who put such faith and trust in us (it certainly was for me). But there’s tremendous potential for expansion on so many levels, when we accept that we only know what we know, forgive ourselves for not knowing, and then change what we’re doing, based on new knowledge and insights. It’s a comfort to find others in the movement world who share this view—we can learn so much from each other when we share like this. The body is an astounding thing to behold, and I’m continually blown-away by all the thing I learn about it. I am grateful I found your blog—one post, and I’ve already learned so much! Thank you for stopping in to read my post Jen, and for taking the time to comment! I value your experience and input as a longtime teacher – and my great passion is to make yoga (and all movement therapy) safer and more effective for our community! I look forward to penning more about this topic and other similar ones! Dr. Garner, Your comments on “hip openers” are spot on. The worst offenders in my opinion are ” pigeon pose” and ” square your hips to the side of the mat” in Warrior II. I can see the storm coming. In not that may years yoga postures as they are taught by most today will give the practice a really bad reputation.. Please keep up your good work and keep offering the experience that less is more. Your point about not using the term ‘hip opener’ is well taken – could you suggest an alternative term? I love your question! First, thank you for taking the time to stop in and read the post, and also to comment. Second, to answer your question, I think the purpose of yoga is often NOT to “open” things – but to create stability – from the inside out. So “Hip Preservation” is the term I like to use when working on hips in yoga. Hope this helps, and look forward to your comments! Hello, I agree that the focus on hip opening is often exagarated. But on the other hand, what would you advise to a person, who wants to increase their movement range in particular area. How does one know that some type of streching is going to potentionaly harm us? How does one know that he or she is at the end of his/her safe range for specific joint (because of individual anatomical features). Thank you for taking the time to stop in, read, and comment. Your input and questions are valued here. The short answer to your question is that person, if concerned about attaining a safe range of motion for their hip given their unique bone structure, should get a physical exam by a PT or orthopedist who can measure the proper angles. Otherwise, it is difficult, if not impossible, to differentially diagnose a bony limitation versus a soft tissue limitation. Hope this helps! Hi Ginger. Your post is very thought provoking and helpful. I have been teaching yoga for twenty years and have trained in using yoga practices to heal the pelvic floor. As I age, I have also begun to question how much hip opening is enough? After twenty of years of doing hip opening asanas I am not sure my hips need much more opening. I will definitely be more mindful of the words I choose moving forward in my teaching when discussing the hips. As your post deals with the specifics of language, I think it is important to point out that yoga is a system meant to lead the practitioner to the state of self realization or oneness. In modern culture people think that yoga means asana (the physical poses) when in actuality asanas are only one part of a system that includes breathwork, meditation, ethical practices and self inquiry. I think is is important that we begin to educated people on the difference between yoga as a system and asanas which are poses people practice. I appreciate you educating us from your perspective as a PT and feel it is my responsibility to educate the culture on what yoga really means. What you are discussing is actually just asana, one part of a very extensive system that is yoga. Yes, yoga is a universe and asana is just a single star inside the complex system. It is why I address hip opening with the idea of “asana evolution.” I’m not speaking about the rest of yoga’s system when it comes to hip opening – I’m speaking strictly from a biomechanical perspective, which is incredibly important if we want to follow the nonviolent path of ahimsa. I have far too many folks who have been hurt by yoga (specifically asana), but also folks hurt by the system (that’s for another conversation). However – asana is obviously not all there is to yoga. That was never the point of the post, I think you can see. I’ve been studying yoga now for nearly 30 years, and I appreciate your reaching out to educate folks that yoga is more than asana. You are definitely preaching to the choir here. 🙂 I use yoga as a means for addressing complex chronic pain in women’s health – and asana is a mere fraction of what I use to address this population successfully. Thanks for your comments!